Joining in with Jen, here are four happy photos from my week. I derive great pleasure from making simple, happy things for my home. I made this little stuffed heart ornament from felt, a scrap of calico, a button and a bit of ribbon. I was feeling restless and needed something to do with my hands one afternoon during the week. I wasn't in the mood to crochet. I just wanted a quick, satisfying little project. The small Bears and I decided to hang it on our homeschool cart, from one of the cabinet doorknobs. It goes with my nearby strawberry-themed kitchen. And of course, it's fitting because we all "heart" school. These are freshly-picked grapes, which we all enjoyed eating. A neighbor up the street has grapevines growing wild behind his garden wall, on the arroyo side. The Bear likes to take the kids walking along the arroyo (there's a walking trail, deliberately left a bit wild so there is a lot of interesting flora and fauna to see back there). They noticed the grapes and asked the neighbor if they could try one and he said they could pick them all if they wanted to. All summer, they've been taking one or two as they ripen and finally they were all ready to harvest so they picked a bagful to take home. The grapes were tart and very juicy. We liked eating wild fruit for a few days. I've managed to pare down the number of books I'm reading at the moment, which has felt oddly relieving. I love to read and have a degree in literature, and have been a teacher of the subject. You'd think I'd be happy to roll in a pile of books, but I've been feeling overwhelmed by them lately, just the sheer numbers I've been attempting to juggle. This book has been a wonderful escape for me. 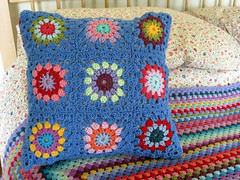 If you like Kaffe Fassett's quilts and other textiles, you'll love this beautiful book. He's a really interesting person too; I knew very little about him before I borrowed this book from the library. For example, he's American! I had no idea. I was sure he was English, but he isn't. He's a California native. And a fascinating, friendly guy, it seems. Finally, we've turned a page in our lives, as of this past week. The Bear and I now have every other Friday morning alone together while both children are in school (it's the first year they've both had school on Fridays). This will continue indefinitely, unless his work schedule changes (which isn't likely). He has every other Friday off from work because of the way his hours are accrued (it's a 9/80 schedule - he works 80 hours over nine days and the tenth is a day off); this also means that every other weekend is a three-day one, which is really nice. This past Friday was our first "private Friday" (as he says; I think it sounds kind of shady). After dropping the kids at their schools, we had coffee, then we went to a local furniture and home-decor store that specializes in contemporary and Scandinavian designs. We saw lots of beautiful things and we also bought something for me that I've been wanting for a long time (I'll share it soon). Then we went to a kitschy old sandwich shop for lunch, where I had a delicious club sandwich with chips and a pickle. Soon, it was time to pick up the small Bears and head home. We really enjoyed our kid-free time together; I'm so glad we will now have this opportunity for a morning "date" every two weeks. I was especially glad for it the next day, when I spent all afternoon with him at Urgent Care, after he dropped a razor-sharp chisel in the workshop and it badly cut his leg, requiring stitches. Frustrating and stressful, but we're a good team. Thank you so much for your kind and supportive comments about our old friend, Angus. I liked reading about your pets too. Does anyone else find it a little strange that we have creatures living in our houses with us, becoming such important parts of our families? I wonder if people have always had pets, from early history. I can see why they started. I appreciate the feedback about having a small pet in the future; I think that's very likely for us and I know our kids would enjoy it and learn a great deal from the experience. I'd also like to say thanks for being here. I have noticed some unrest in the blogging community lately and I've been feeling a bit discouraged myself. My reaction is to keep doing what I'm doing: I'm blogging for me, first and foremost. I also love to share my world with whomever is willing to stop by and visit. I've made wonderful connections through blogging. I greatly appreciate everyone who takes time for me. Your family room looks great, so happy you got all the "wet" cleaned up! Your Dog sounds like he was quite a character, and I am sure all the Bears miss him! I met another neighbour at the cottage on Friday while lounging in the Lake...and she reminded me of you! Or...what I think you are like! Dark hair...warm smile...soft spoken...very nice gal indeed...so, now I have Jennifer at the cottage...only, her name is Deborah! Your days with your husband sounds wonderful..enjoy!! So nice you get to have time just for you and hubs on certain Fridays now. I certainly hope blog land remaind such a wonderful supportive place to be, it is the only social media I participate in because it is so supportive. Other than a few spammy type ad sites having lifted a few of my photos (grr) things have been so comfy here. I love that you get to spend some alone time with your hubby every other week. Glad he's doing ok after those stitches. ooo.. Private Friday.. I like the sound of that. HI Jennifer. The heart is lovely, just the sort of thing I love making too, filling it with home dried home grown lavender too! I love spending time alone with my husband even though our kids (none together) have all grown up so I'm sure you will enjoy Private Fridays with yours! 3. I didn't know that Kaffe Fassett was American either, I also thought he was English! 5. I have noticed this "unrest" too. Not at all sure how it started, but I only noticed comments about this recently. Keep on or not as you feel that you wish. As you said, blog for you, not anyone else, just as you would do anything else in your life. 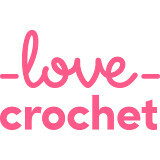 I have written, but not sorted out my photos yet to post it, a post about starting crocheting, which I mention in the post was inspired partly by YOU, so please know that people appreciate what you put out there and enjoy it a lot!! Your little heart is so sweet - I look at it and think of a first sewing project for a little girl. I'm glad you are taking advantage of your "private Fridays!" My husband and I did this so rarely that when the last daughter left for college, we had to retrain ourselves to talk about things other than the kids! Hi, that heart is soooo cool. I didn't know Kaffe Faccett was American, I thought he was French. Well you learn something new everyday. I've not noticed any unrest in blogland, but hope it doesn't spoil what has been a happy time for me since April. So many creative people willing to share ideas. I loved to read about your Private Friday. Daniel's 18 now, and we've had little time alone since he was born so we have our monthly date nights now. I think it's important to have time as a couple, I wish we'd done it sooner now, but our kids are all but grown so no point looking back. I just want to mention Angus, I didn't have chance to comment on your last post. What a gorgeous dog, we had one similar in character when I was a child, Sasha, he was one of a kind. I think you're very wise to think about how tying a dog is. We had hamsters and guinea pigs when the kids were young, and we've got rabbits now. I'd say that guinea pigs are the ideal pets for young children, such lovely little creatures. I 'heart' you! I love calling in to see what you and your sweet little family have been up to and it's got nothing to do with statistics and all the other gobbledigook that apparently goes along with being part of Blogland. I write for myself too and don't pay any mind to the stats on my pages - as long as I'm enjoying it, I'll keep doing it. I hope you will too. I think a lot of unrest is attributable to folks migrating to Pinterest, Instagram,Facebook,etc where people are more and more addicted to the quick response that these social media sites provide. Personally, I don't live my life through my computer screen and enjoy blogging for the connection it gives me to people and places I would otherwise never have access to, when and if I can. Keep going and ignore the doubters! I love the heart ornament! I love the fabric you chose, and it's just so happy to look at. And how lucky are you to have fresh grapes in your neighborhood! Grapes are a favorite snack of mine! I love, love that you and your husband have a morning date (so important) every couple of weeks, it's looks like you had a really fun time! We don't do date nights often enough, and I find myself really missing my husband sometimes. I have noticed that more and more bloggers have resorted to Instagram, but it's just not the same. I have totally neglected my blog lately - family, life, child, housework, etc. just really busy lately, but I hope to get back to it soon... I miss it! What a lovely post! I love the heart ornament, very cute! Your little heart decoration is so cute, I hope bears legs ok.
What a splendidly sweet, beautiful heart. I adore the vivid hues and repetition of the heart shape with the wee button. Very lovely! *PS* Thank you very much for your blog comment today. I so adore knowing how people come to discover my site, and loved learning that for you it was via Pinterest. Lovely post and so many happy things here - love the little heart and the grapes look yummy too. How special that you and your husband will be able to spend Fridays together - enjoy. Many thanks for visiting me and your kind note. What a sweet little heart you've made there Jennifer, and what a sweetheart you are! You always share your life so beautifully with us and I always enjoy reading your news, thank you! A degree in literature is quite an achievement and so I congratulate you on that - it's something I would have liked to pursue but didn't quite get around to it! It's wonderful that you and Bear have that time to yourselves and are making the most of it for, as the years pass, those precious times can be taken up so easily with the demands of parenthood and life in general and we can so easily become 'out of the way' of communicating 'up close and personal'! Very best wishes to Bear for a fast and complete recovery from that nasty accident! Lovely happies! The little heart is very sweet and it so lovely that you and your husband have some lovely time together on a Friday. I know what you mean about there being some unrest in blogland, I have noticed it too. However, I still really love blogging and catching up with all my lovely bloggy friends. Hi Jennifer,Love the heart!! !It pops with happiness!! !How nice to have a date with your hubby every other Friday!! !It's important to spend alone time!! !I totally agree with you on the blogging thing and so glad you'll be carrying on with it!! !I love my blog and I love to read other people's blogs and comment regularly!! !I only have 12 wonderful followers and really very few comments,but I feel so good when I have published a post and get some feedback on it!! !It feels as though I have friends the world over!! !It's just so rewarding!! !My own electronic scrapbook!!! !Love it!!! !Have a great day!!! I haven't sensed any unrest in the blogging community, but I'm sure it's out there. But I totally agree with you about blogging for yourself, and then whoever cares to stop by and share your world with you, then those are your blogging friends and community. Personally, I don't care much for more of the hyped-up, "popular" blogs. I sometimes will look at them for decorating ideas; otherwise, there's just nothing personal to them. And their houses look so staged and fake, that I wonder how their family ever truly relaxes and lives in that kind of environment? Anyway...love your little stuffed heart. See? I think it's the everyday, beautiful, simple things that make our hearts the happiest. And the wild grapes that you and your children picked? A wonderful memory PLUS good eats. Glad to hear that you and your hubby are purposely making some time just for yourselves. It's so important to nurture your marriage first and remember why you were a couple in the first place. It also makes you better parents and is a great example for your children. We're empty nesters now, but we always had "Friday night date night". Pets...yes, there is a lot of freedom in not having one. And most pets do end up costing a lot of money. However, they also bring a different kind of love and responsibility into the home - another great teaching tool for children. I'm not much of a dog person and I've never wanted the responsibility of a dog...we don't have a fenced yard so I wouldn't want to be walking a dog several times a day in bad weather. And we're on the go a lot, so we couldn't leave a dog home alone, nor could we afford a pet sitter. So, for us, our solution was cats. We have three of them now. They're so loving and sweet and we can leave for an entire day - or even 24 hours - and not have to worry about them. You mentioned a guinea pig...we never had one, but I've heard they make pretty good pets. We had a rabbit - he was wonderful; we loved him. But unless you can keep one outside, I don't recommend one as a pet, simply because of how much they go to the bathroom! lol If you don't keep the cage clean ALL the time, it smells to high heaven. Lots of work. And on two different occasions, we actually had rats as pets! Domesticated rats from a pet shop - not wild rats. Don't laugh - they are nice creatures and actually have personalities. They would "beg" for attention when we walked into our son's room and then loved to be held or just ride around on our shoulders. They never bit any of us. The downside? They don't live long (2 years max) and the females are very prone to mammory tumors. Well, didn't mean to write a novel, sorry! Have a wonderful day! Such a cherry looking heart. 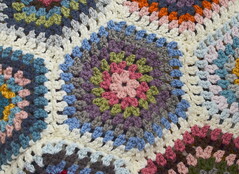 Like your pictures as always and I've borrowed a number of books on Kaffe Fassett from our library. His designs and sense of colour are wonderful. Enjoy your private Fridays!! How lovely to have some time with your husband alone, shady or not! I feel blogging unrest myself, I am sticking right where I am, I am not moving to faster outlets, in fact I wrote about it today. Ohhh - I hope he's on the mend - you guys sound like me and my "bear"! I so agree that simple things are the best - I love your photos - they feel like home! Wow.,that is a wonderful,opportunity for you and your husband. Because although we don't believe it will happen to us, time goes by really fast and we find ourselves doing mostly everything for our kids. These Fridays will keep you closer and your relationship stronger. What a lovely little heart and I love the pictures of Angus. He looked like he had a wonderful life with your family :) I also enjoy Kaffee's and his books. So colorful and happy. Great choice.